Reverse engineering is a vitally important skill for today’s expert security professional. Everything from reverse engineering malware to discovering vulnerabilities in binaries are required in order to properly secure an organization from today’s ever evolving threats. 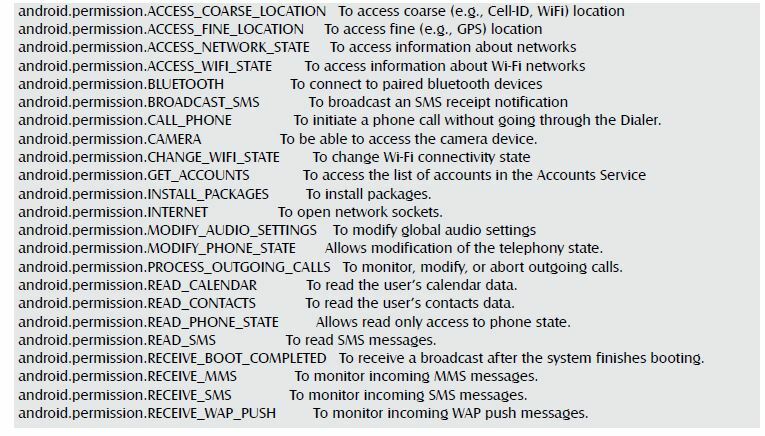 This series focuses on the static approach to analyse Android malware. 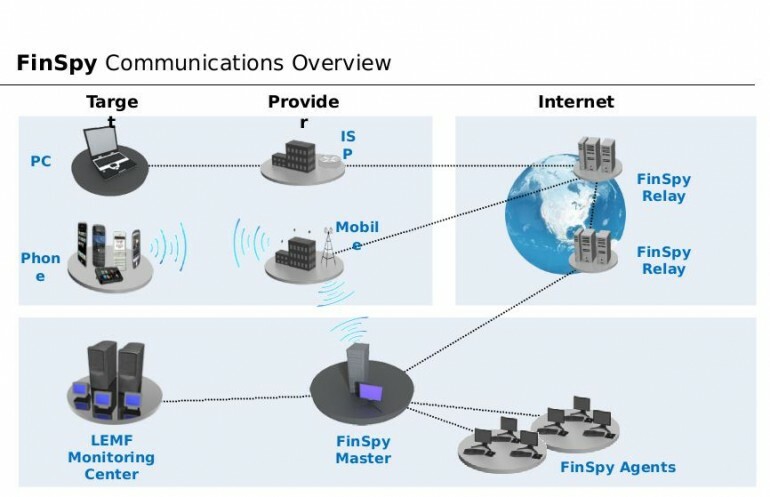 We will be examining FinSpy Mobile that was leaked lately among 40GB of internal documents and source codes of government malware made by Gamma FinFisher. FinFisher is a range of attack tools developed and sold by a company called Gamma Group used by governments worldwide to capture user data. FinSpy Mobile is the mobile version, compatible with Android, Blackberry, iOS and Windows Phone. All communication with the C&C is encrypted. It can record incoming and outgoing emails, provide location tracking, and provide “live surveillance through silent calls. This file this is usually in the binary format and can be converted into a readable file by downloading AXMLPrinter2. Realizing that these files are ELF executables we can guess that their functions, one to capture the screen and the other needs more focus. 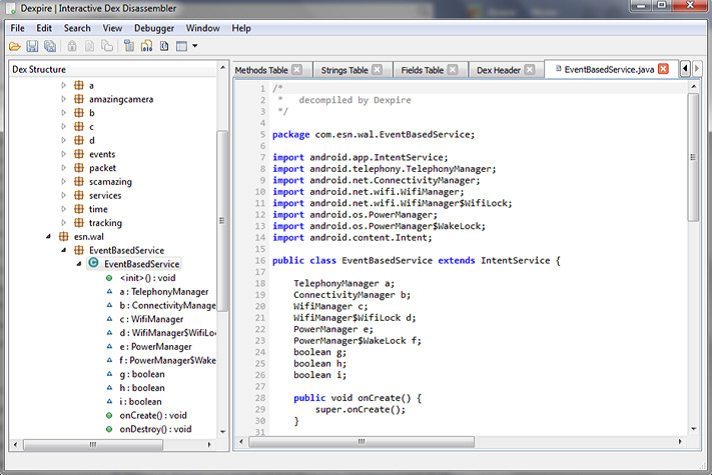 To go on dumping and understanding the application codes, for this purpose I am going to introoduce Dexpire! • Disassembler for the dex format used by Dalvik. • Directly decompile Dalvik bytecode to Java source code. • Full APK view, including decompressed manifest, resources, certificates, strings, constants, etc. For the next parts, we are going to analyze various classes to learn the mechanism of the malware through dexpire.